The Campbell family with the Hawaiian icon of the Theotokos. They placed their hope on God and were confident that He would not ask more of them than they were able to withstand and, indeed, mercifully, He did not. Today Ella is no longer at the hospital and is recovering very well. One thing that was not a worry for the family was the question of insurance, which the Campbells had through the Orthodox Health Plan through the assistance of donors like you. Please click here to donate. Your support strengthens our Church! "The FFA saved us financially and contributed in a significant way to our daughter's recovery." “Had we had the immense financial burden of our hospital bills on top of our worry about Ella, it would have been much, much more difficult and we would now likely be filing for bankruptcy. The FFA saved us financially and contributed in a significant way to our daughter's recovery. Having insurance reduced our financial burden from more than $100,000 to somewhere between $3,000 and $5,000. We are especially grateful to the FFA for helping us to have insurance during this past year, without which this tragic event would have been incomparably worse. 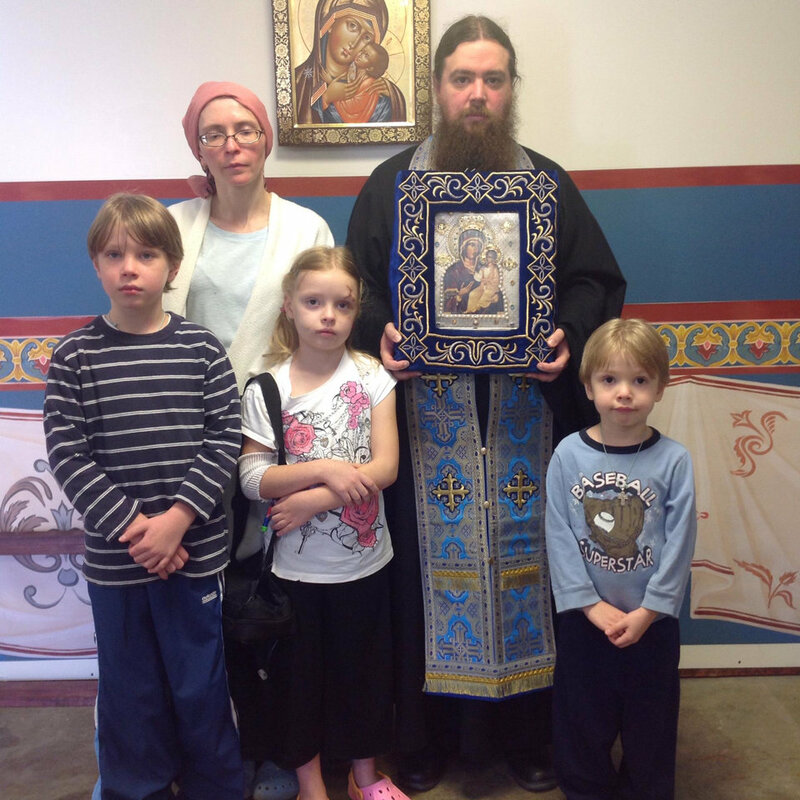 Fr Jonah Campbell, Matushka Yelena, Alexey, Ella, and John"
More than 90% of ROCOR priests are uninsured. Thanks to donors like you, in the last 2 years 4 clergy families had health insurance. Our priests were able to spend less time trying to provide for their families and devote more time to their parish.